This is one of the biggest energy-guzzling appliances in the house and there have been big changes in the efficiency of this appliance over the last five years. Replacing older dishwashers and dryers can make a big difference too. Just as you would flip off the lights before heading out to work, you should turn the heating or cooling off or down while you’re away. 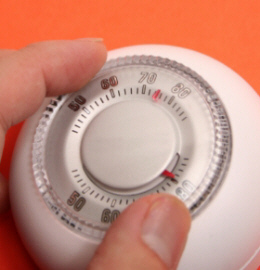 Program the thermostat for a higher temperature when you’re gone in warmer months, or lower in cooler months. These thermostats can be had for $150 at big-box hardware stores. Likewise, don’t heat your water when you’re not there to use it. 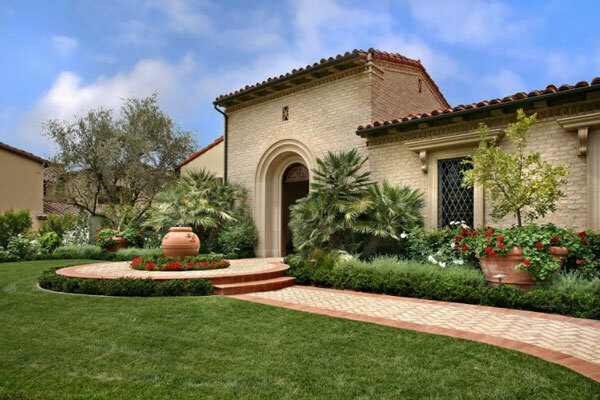 If you’re moving into a house with single-paned windows, or living in a climate with extreme heat, you should consider putting something on the outside to reflect the light. Also, caulk window and door frames to make sure they are airtight. And if possible, use honeycomb-type shades on the inside to trap the heat before it is absorbed into the room. This is kind of a no-brainer, experts say, because it’s so cheap to do and saves so much on your electricity bill. This monthly maintenance helps it run more efficiently and minimizes wear and tear on your unit. Arranging furniture so it doesn’t block air vents also is important to maximize the flow of cooling from your system. Planting a tree or some vegetation outside a big window can shade your house from the strongest rays of the sun and stifle freezing winds. Planting low-water native plants can also cut your water bill; lowering the total cost you pay for you home each month. These inexpensive fans can make a difference in the temperature of the whole house and keep your air conditioning from working so hard. This entry was posted in first-time homebuyers, home remodeling, homebuyers, real estate and tagged efficient, energy, home, homeowner.